Antigone’s Wake: A Novel of Imperial Athens by Nicholas Nicastro describes Athens’ campaign against Samos in 440-439 BC through the eyes of the playwright Sophocles. Allegedly, Sophocles was one of the ten elected Athenian generals who conducted the campaign under the overall leadership of Pericles. 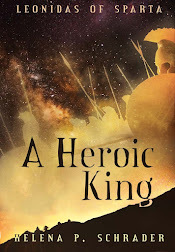 Although there is no attempt to apologize for Athens’ aggressive and imperial policy and many of the negative aspects of Athenian society are described in the course of the book, Nicastro clearly likes Athens and his characters in this book better than he liked his heroes or Sparta in Isle of Stone. Throughout the book, the tone is light-hearted and whimsically self-critical rather than oppressive and hopeless, making it a much easier and more pleasant read than Isle of Stone. Particularly well-drawn is the hero Sophocles. Nicastro very effectively portrays the great playwright as a man who is at once vain and insecure, a man proud of his accomplishments and yet conscious of his failings. He is a man with weaknesses, but not without virtues and conscience. All in all, he is a likeable protagonist and one which the reader readily follows. The portrayal of Pericles was also intriguing. Since I know very little about the historical Pericles, I have no way of judging the accuracy of Nicastro’s portrayal, although from what I do know the fictional character represents a legitimate interpretation of the historical figure. Certainly, Nicastro’s Pericles was effective in the context of the novel, where the "rational" Pericles serves as a good foil for the more emotional Sophocles. Because Pericles epitomizes “rational” policy and “realpolitik,” he also advocates cold-blooded political expediency and so embodies Imperial Athens, a role that is appropriate for the most famous Athenian politician of his age. 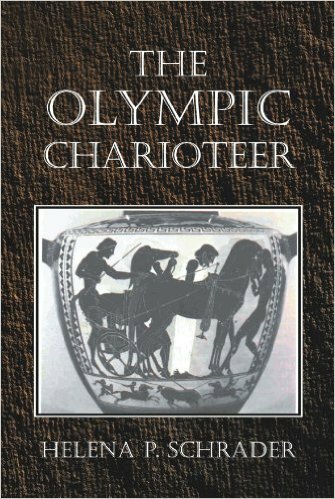 Sophocles son Iophon likewise plays a believable, if more monotone role in the novel, as the spoilt son of a successful father. Fathers of teenage sons will probably identify strongly with Sophocles in his disappointment over his son's refusal to recognize his achievements and his frustration in trying to provide wise guidance. The relationship between father and son is at once completely modern and compellingly authentic, as a variety of ancient writers also complained about the rudeness of youth and their lack of respect for their fathers. In short, the phenomenon appears timeless. Unfortunately, all three women characters in Antigone's Wake are mere steriotypes: the intelligent whore (Aspasia), the nagging wife (Nais) and the stupid teenage girl, Sophocles’ daughter Photia. Whereas Aspasia and Nais are well drawn steriotypes, who still play their roles within the novel effectively, Nicastro’s failure to breathe life into Photia is a serious flaw in the novel. Nicastro's plot requires Photio to fulfil a key function and provide a dramatic climax to the novel. Because Nicastro neglects Photia for the larger part of the novel and makes no effort to develop a character rather than a steriotype, she fails to play her assigned role convincingly. In consequence, I found the ending of the novel a disappointment after an otherwise good read. In the ancient world, the Spartans were (in)famous for their culture of silence. Ancient “Laconophiles” collected alleged examples of Spartan speech all characterized by pithiness, and Xenophon stresses the – evidently unusual – ability of Spartan youth to hold their tongues except when directly addressed. Perhaps the most graphic example of the Spartan distaste for excessive verbiage, however, is the story of the Samian ambassadors, who sought Spartan aid in their fight against Polycrates. According to Herodotus, the Samians gave a very long speech after which the Spartan’s complained about having forgotten the start of the speech by the end of it. When the Samians then brought a bag and said the bag needed flour, the Spartans replied that the word ‘bag’ was superfluous – and then proceeded to give the aid requested. (Herodotus 3:46). Because Spartan eloquence was characterized by an absolute minimum of words, we describe minimalistic speech as “Laconic” event to this day. But while the Spartan culture of reducing speech to its bare essentials and speaking only when necessary was described and admired by ancient observers, the reasons for Sparta’s culture of silence are less obvious. This is where the Spartan culture of silence might have proved its utility – if it was not part of the very reason for evolving it in the first place. In warfare, serious casualties are inherently traumatic, which means the victims inevitably suffer from shock and hypothermia. Both conditions worsen, if a patient is agitated and unable to keep still. If, on the other hand, a victim has been trained to remain still and silent, then they have a better chance of also remaining calm and so preserving rather than squandering their strength, blood and breath. Furthermore, it appears (but I would welcome a medical opinion on this!) that the natural pain-killers the body produces in situations of extreme trauma are more effective if adrenalin levels are lower. Thus, developing behavior that reduces or shortens the period in which adrenalin is pumped into the body, may increase the speed with which natural painkillers are released into the bloodstream. Thus, far from being super-macho heroes, who ignored pain, as portrayed in most cartoons, films and novels, Spartans may literally have experienced less acute pain when dealing with battle wounds. Review of Nigel Kennells’ "Spartans: A New History"
Nigel Kennell has produced a good, readable history of Sparta in his latest release Spartans: A New History (Wiley-Blackwell, Chichester, 2010) It is the kind of work that provides readers, who are not specialists in ancient history, with a solid understanding of the fundamental characteristics of Spartan society and the bare-bones of Spartan history. This is a good book for non-experts to buy and keep as a reference on things Spartan. For readers already familiar with the subject matter, Kennell provides a concise summary that can be used for reference, but fails to break new ground that I could detect. 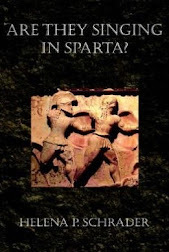 Maybe I was expecting too much after finding his The Gymnasium of Virtue: Education and Culture in Ancient Sparta such a brilliant foray of common-sense in a field of discourse dominated by so much nonsense. 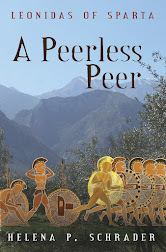 Certainly, in this new work I found his discussion of topics – whether the Spartan constitution or the Spartan army – more gripping than his chronological narrative. For me personally, the most exiting section of this book was the chapter on the Spartan army. Here, for example, I learned that the Spartan army buried its dead in the lands where they fell, according to Kennell as “a matter of pride, for Spartiate graves served as tangible signs of their city’s ability to project power.” (p. 157). Thus, the familiar admonishment allegedly given each Spartan soldier by his mother “with your shield or upon it” could not have come from a Spartan source! This is a revolutionary insight – fully in line with my own speculations about “unnatural mothers.” (See my earlier blog entry.) The rest of the discussion on the army was equally logical and useful. Kennel is in his element when focusing on a topic rather than trying to cover the whole universe of things Spartan from Lycurgus to the Romans. I hope that in his next book he will return to the format of The Gymnasium of Virtue and enable readers to benefit from his meticulous research combined with his refreshingly sensible and insightful perspective. Yet what we know of Spartan society is not consistent with such an educational system. 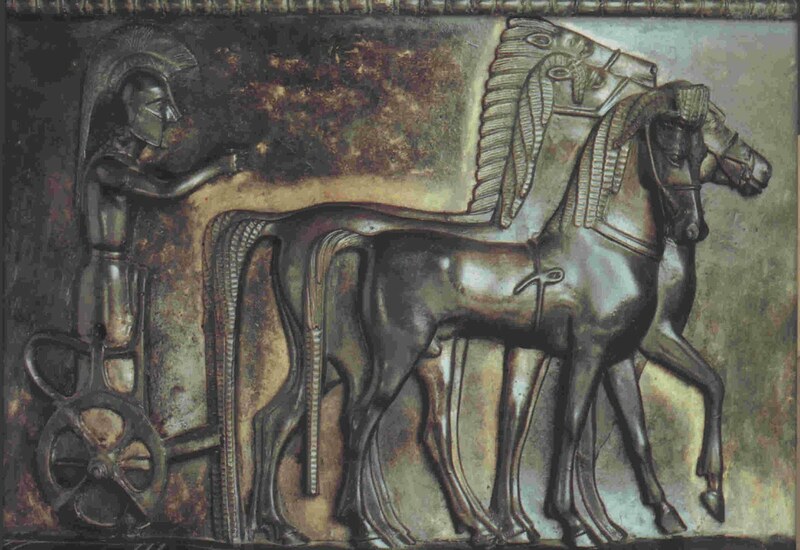 First, there is strong evidence that family ties were as strong in Sparta as elsewhere. No society, in fact, has ever succeeded at destroying the institution of the family -- even when they tried as in Soviet Union and Communist China. We know from modern experience that attendance at even a distant boarding school does not inherently indicate a lack of parental interest in a child’s development. Thus, it is ridiculous to think Spartan parents lost interest in their children just because they were enrolled in the agoge. The agoge, after all, was located in the heart of Sparta. 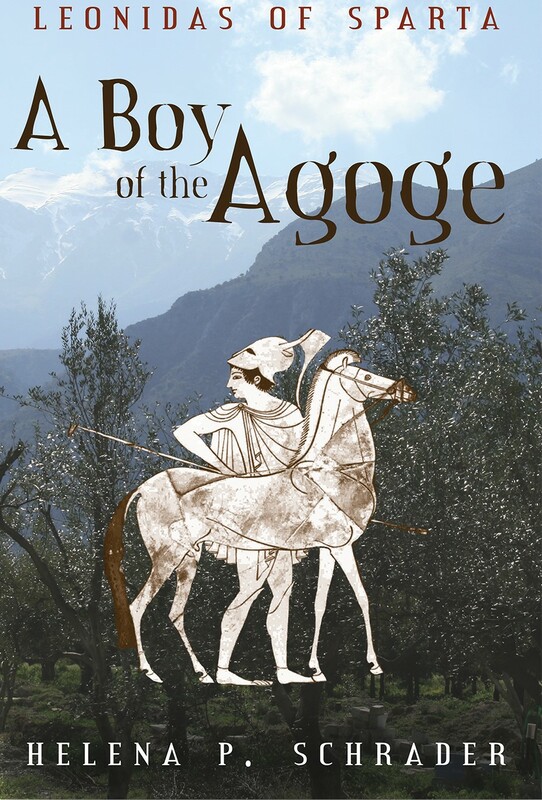 Far from never seeing their families ever again, the children of the agoge would probably have seen their fathers (who had to take part in civic activities and eat at their syssitia) and school- and army-aged siblings daily. In addition to the comfort of daily contact with fathers and brothers as desired, we can assume that the agoge was not opened 365 days a year. Just like every other school in history, the agoge will have had “holidays.” We know of at least 12 festivals each year. (See Nikolaos Kouloumpis, “Worship and the Role of Religion in the Formation of the Spartan State,” Sparta: Journal of Ancient Spartan and Greek History, Vol. 6, # 1.) The Spartans, furthermore, were notorious for taking their religious festivals extremely seriously. Soldiers on campaign could return home for festivals particularly important to their specific clan, and the entire army was prohibited from marching out during others. (Hence the Spartan army was late for Marathon and only sent an advance guard to Thermopylae.) It is not reasonable to assume that what applied to the Spartan army did not apply to the public school. Far more probable is that the agoge closed down for every holiday and like school children everywhere, they gleefully went “home for the holidays” along with their eirenes, herd-leaders, instructors and all other citizens. The equally common presumption based on fragmentary ancient sources that the boys never got enough to eat and routinely took to stealing to supplement their diet is inconsistent with a functioning economy. No society can function if theft is not the isolated act of criminal individuals but rather a necessity for all youth between the ages of 6 and 21. If all the youth were stealing all the time, the rest of society would have been forced to expend exorbitant amounts of time and resources on protecting their goods. Every kleros would have been turned into an armed camp, and there would have been nightly battles between hungry youth and helots desperate to save their crops and stores. Nothing of the kind was going on in Sparta, a state known for its internal harmony and low levels of common crime. 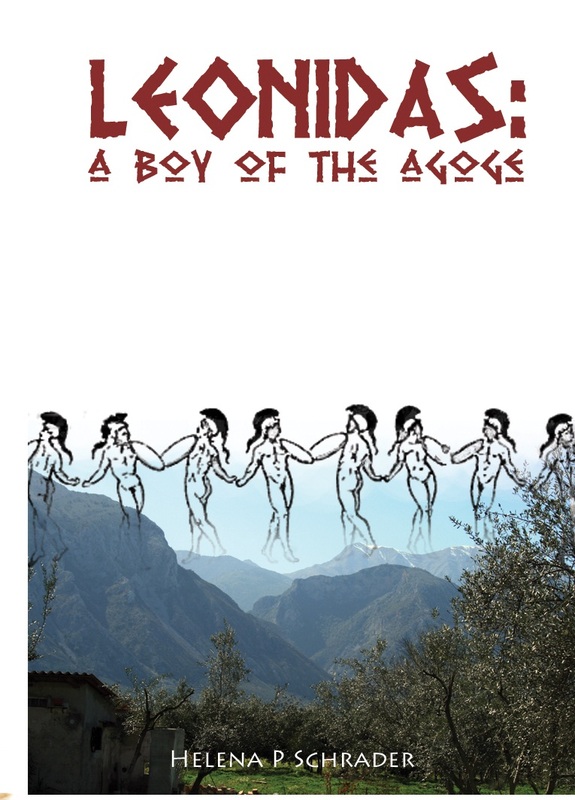 Nigel Kennel argues persuasively that theft was only allowed during a limited period of time at a single stage in a boy’s upbringing (Nigel Kennel, The Gymnasium of Virtue: Education and Culture in Ancient Sparta, University of North Carolina Press, Chapel Hill & London, 1995). As for only being punished for being caught, that is very nature of all punishment seen from the thief’s perspective, since no undiscovered crime is ever punished. Nothing about that has changed in 2,500 years. The notion that the boys constantly fought among themselves and were encouraged to do so is equally untenable. Boys of the same age cohort would inevitably serve together in the army. The Spartan army was famous for the exceptional cohesion of its ranks. You don’t attain such cohesion by fostering competition and rivalry to an excessive degree. 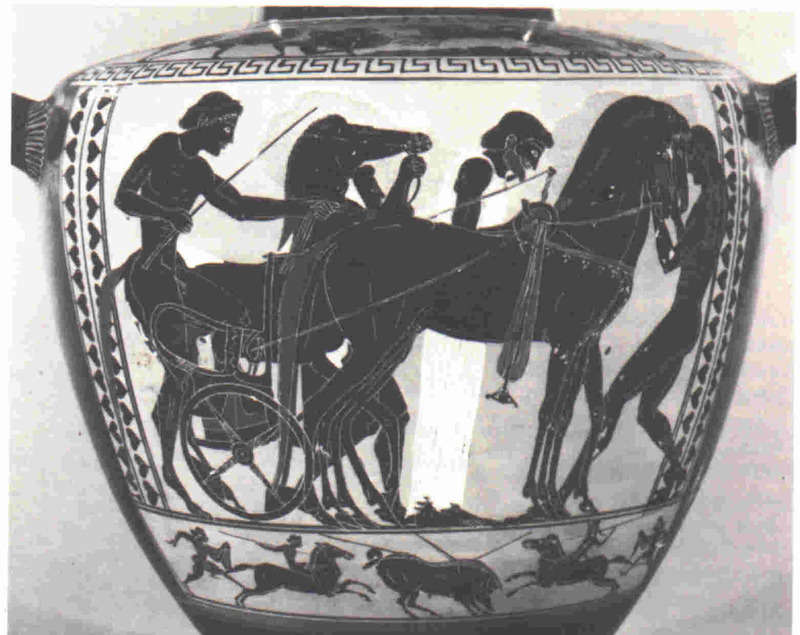 A strong emphasis on competition was prevalent throughout ancient Greece. Spartan youths engaged in team sports, and there would have been natural team spirit and team rivalry. There can be no question that now and again such competition and rivalry turned bitter and could degenerate into fights. But Sparta more than other Greek city states needed to ensure that such rivalries did not get out of hand because all citizens had to work together harmoniously in the phalanx. As for the youth of the agoge being abjectly respectful and obedient to their elders, such behavior is incompatible with high-spirited, self-confident youth – yet this is what the agoge set out to produce. (See my earlier blog entry on “Citizens or Automotons.”) Spartan discipline appears to have produced exceptionally polite young men by ancient standards. 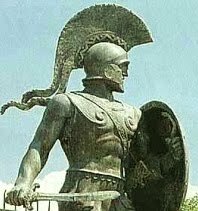 Since observations about Spartan youth at, say, the pan-Hellenic games or on visits to Sparta does not require inside knowledge of Spartan society, we can assume that these reports have a certain validity. But there is a vast difference between being polite and respectful on the surface and being cowed, intimidated and obedient to an exceptional extent. English school-boys of the 19th and early 20th Century also had a reputation for politeness that had nothing to do with being beaten down or docile. The thesis that Spartan youth learned almost nothing (except endurance, theft, competition and manners) is untenable for a society that for hundreds of years dominated Greek politics and whose school was admired by many Athenian intellectuals. Starting with the circumstantial evidence, Spartans could not have commanded the respect of the ancient world, engaged in complicated diplomatic manoeuvring, and attracted the sons of intellectuals like Xenophon to their agoge if they had been as illiterate and uneducated as some modern writers like to portray them. Spartans clearly knew their laws very well, they could debate in international forums, and their sayings were considered so witty that they were collected by their contemporaries. Indeed, some sources claim that “devotion to the intellect is more characteristic of Spartans than love of physical exercise.” (Plutarch, Lycurgus:20) Furthermore, Sparta is known to have entertained leading philosophers and to have had a high appreciation of poetry, as evidenced by the many contests and festivals for poetry, particularly in the form of lyrics. The abundance of inscriptions and dedications found in Sparta are clear testimony to a literate society; one does not brag about one’s achievements in stone if no one in your society can read! Last but not least, while everyone agrees that Spartan education was designed to turn the graduates of the agoge into good soldiers, the skills needed by a good soldier included far more than skill with weapons, physical fitness, endurance, and obedience. A good soldier also had to be able to track, to read the weather from the clouds, to navigate by the stars, to recognize poisonous plants, to apply first aid, to build fortifications and trenches, and much, much more. All this knowledge was transmitted to Spartan youth in the agoge. Finally, let me turn to the most offensive aspect of this common picture: institutionalized pederasty. Without getting into a fight about the dating and nationality of the sources alleging institutionalized pederasty to Spartan society, the status of women in Sparta is even more widely attested and can be considered incontestable. Yet the high status of Sparta’s women is completely inconsistent with a society composed of men who were the victims of child abuse. Aristotle himself fumed against the power of women and attributed it to militaristic society in which homosexual love was not common. More important, modern psychology shows that abused boys grow up to despise women. Whatever else one can accuse the Spartans of doing, despising women was not one of them. Athenians, notably Aristophanes and Hesiod, on the contrary, very clearly did despise women and it was in Athens and Corinth that the archeological evidence likewise suggests widespread pederasty. Sparta stands out as the exception, which is probably why it was so profoundly misunderstood. 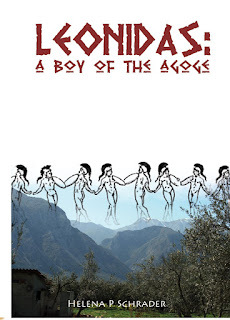 "Leonidas of Sparta: A Boy of the Agoge" is a novel based on hypothesizes about the agoge consistent with the above thoughts.